We’ve come in for a landing at the lovely, just opened Villa Stefanija overlooking the Istrian Coast outside the town of Barban, Croatia. 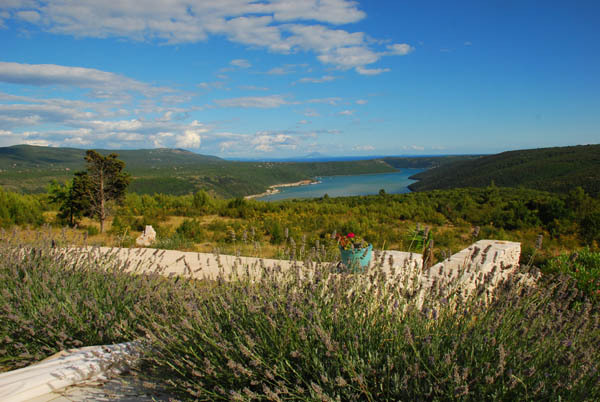 Found through booking.com, we were delighted when we drove up to the house and saw the infinity pool blending into the wooded hillsides and the bay far below, which itself blends into the blue Adriatic. Owner Duška Pečečnik built this house next to her grandmother’s house, and she named the new 4-star boutique hotel after her grandmother, who raised her. Her grandma, now 90, still likes to take in the sun from the broad terrace looking south from the Villa Stefanija. It is a view we’ll “have to” get used to, because we booked the room for one night but on arrival, took it for two. 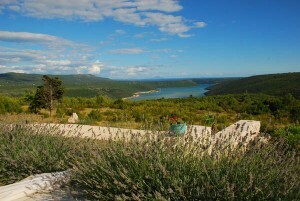 Posted in Croatia Tours and tagged barban, croatia, villa stefanija.